Into Everywhere now available as an ebook in the US. I think that it's the first time one of my titles has been available over there before being released over here. So make the most of it, US readers. 'I'm a fast learner,' Dr Robert Laing soothingly tells an obstreperous neighbour who accuses him of a minor breach of rubbish-chute etiquette. Laing (imbued by Tom Hiddleston with cool semi-detached superiority) has just moved into a flat on the 25th floor of a new high-rise, midway between the lower levels inhabited by ordinary middle-class families and the heaven of the penthouses of the rich, including Anthony Royal, the architect who designed the building. Soon, he will need to deploy all of his charm and adaptability to survive the apocalyptic transformations of this vertical microcosm of society. J.G. Ballard's experimental collection of condensed novels, The Atrocity Exhibition (1970), was the template for a loose thematic trilogy of novels that explored the effects of technology and the urban environment on human sexuality and psychology. Rather than resisting change or attempting to impose order on chaos, Ballard's characters embrace the freedom to explore and act out new states of being, from fetishism of cars and car accidents in Crash (1973) to the ways in which the liminal urban space of Concrete Island (1974) and the brutalist architecture of the self-contained tower of High-Rise (1975) translate into psychological states and human narratives. 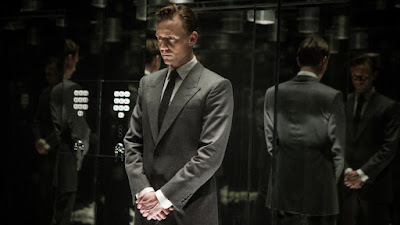 In High-Rise, petty resentments and suburban hedonism are amplified by the claustrophobic architecture; as the veneer of civilisation cracks open, the inhabitants revert to savage tribalism and are gripped by a mass psychosis that traps them inside the building that has been designed to satisfy their every need. Directed by Ben Wheatley from a screenplay by Amy Jump, the film follows the novel's narrative arc pretty faithfully, beginning with the infamous scene where Laing sits on the terrace of his flat, roasting the leg of an Alsatian, and then looping back to Laing's arrival, and his introduction to the hedonistic lifestyle of the high-rise's middle floors by his upstairs neighbour Charlotte Mieville (played by Sienna Miller with a nicely judged mix of boldness and vulnerability). Charlotte also introduces Laing to Royal (Jeremy Irons as a limping acidulous demigod dressed in Bond-villain white) and Richard Wilder (Luke Evans in thuggish proletarian denim), a TV documentary maker who lives on the ground floor with his children and heavily pregnant wife. 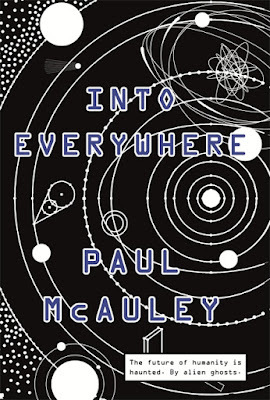 As the building's lifts and utilities begin to break down and social divisions -- defined by money rather than class -- fuel violent strife between floors, Wilder's increasingly brutish resentment drives his obsessive attempts to ascend to the top floor and confront the building's creator, a counterpoint to the descent of the rest of the inhabitants into apocalyptic warfare. While David Cronenberg's film of Crash (1996) displaced the novel's setting from the 1970s to contemporaneous Canada while accurately replicating Ballard's cool, martian gaze, High-Rise makes the 1970s London setting of the novel a central feature of its aesthetic. There are slow pans across supermarket shelves packed with color-coded blocks of packaging; ranks of immaculate period cars stretch away in a vast parking lot; the apartments are nicely detailed, from the brass-and-glass furniture and orange and brown wallpaper of the lower floors to the wall-to-wall shag-pile carpeting and modular sofas of Royal's penthouse. The opulent interiors contrast with the brutal concrete exterior, bracingly framed against the sky and increasingly, as anarchy grips and the inhabitants party until dawn, depicted in the magic hour when the nuclear fire of level sunlight burns through the windows of its apartments. Rather than attempting to impose a conventional plot on Ballard's clinical anatomisation of collapse and transfiguration, Wheatley uses montage and images shattered by a child's kaleidoscope to fast-forward the disintegration and mounting insanity to its violent conclusion. A man leaps from a high balcony and smashes, in exquisite slow-motion, into the bonnet of a parked car; in the supermarket, peaches grow coats of mould; barricades block corridors and staircases; black binbags stuffed with rubbish bulge from rubbish chutes and clutter even the penthouses. The violent excesses of this gorgeously shot period dystopia are guyed by the kind of absurdism Wheatley has deployed in earlier films, notably Kill List and Sightseers. It's mostly a good match for Ballard's deadpan parodic humour, but is sometimes a little too broad: Laing's obstreperous neighbour and a cantankerous caretaker are little more than grotesque caricatures; a scene in which Laing turns up in a suit to a penthouse costume party and is roundly mocked by Royal's neglected, imperious wife (Keeley Hawes) and her acolytes veers towards sitcom farce; a roving gang armed with a BAFTA trophy is perhaps an in-joke too far. Ballard's novels are powerful and disturbing because they mirror our own lives with far more closely than we'd like to admit -- their portraits of collapse and wild abandon are only a few degrees from what we call normality -- but comedy redefines normality by violently distorting it. Fortunately, such lapses in tone are rare. High-Rise is a gloriously subversive slice of anarchy, a mix of arthouse and grindhouse that, like the novel, relishes its remorseless deconstruction of what we like to think of as immutable human behaviour.